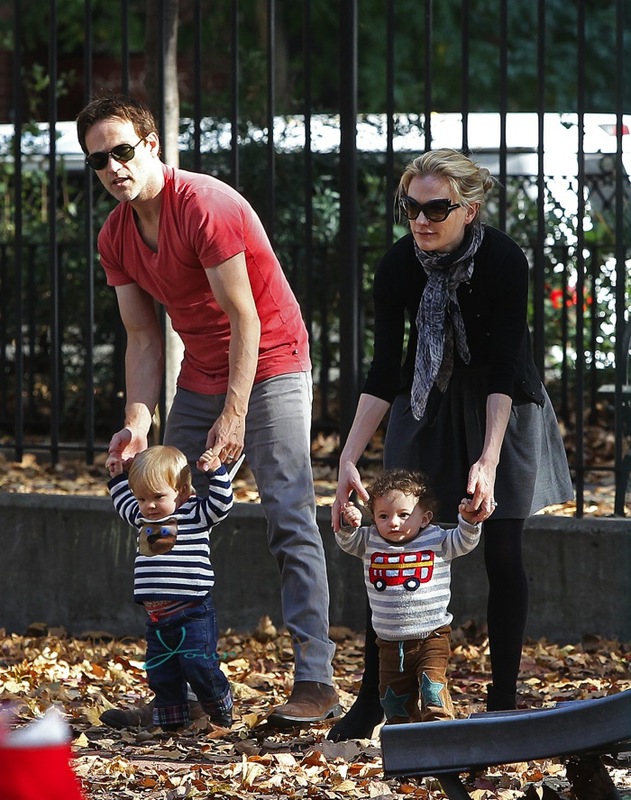 Anna Paquin and Stephen Moyer enjoyed some time together as a family over the weekend at the park in New York City with their twins. 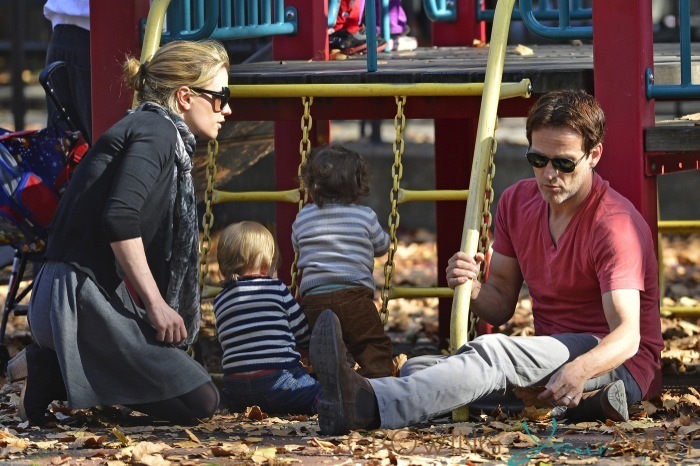 Poppy and Charlie were cute in matching striped sweaters as they navigated the playgym at the East Village park. The couple divided and conquered, each taking a baby – who are now walking and definitely on the move! During a recent interview Stephen revealed Anna was excited for the twins to walk. The dad of 4(Lilac and Billy from previous relationships), Stephen is just thankful they are healthy. The couple was happy when they turned the corner.